There is a tremendous sense of fulfillment that comes with rescue. Blessings surround us daily. I heard a saying recently – “hard is hard”. There are certainly many hard things in rescue. Some of these are just strenuous physical challenges – some are difficult emotional challenges. I try to accept what comes our way with as much grace as possible: good people who surrender their dog through no fault of their own; others who surrender their dog for a myriad of reasons that, to me, are unfathomable (he got big; he got sick; my boyfriend doesn’t like him). I try to keep my judgement in check and focus on the best interest of the dog. There are dogs we could not help because they were simply dangerous; and there are those we said ‘goodbye’ to because it was unfair to let them suffer. These are the hard realities that sometimes accompany rescue. But there are some realities where grace escapes me altogether. All across this country, rescue organizations are faced with an impossible moral dilemma as a result of irresponsible breeders who regard dogs solely as cash crops – puppy mills. Dogs that have been bred until they have outlived their usefulness; sick and broken puppies. If we take the dogs, we are enabling their operations. 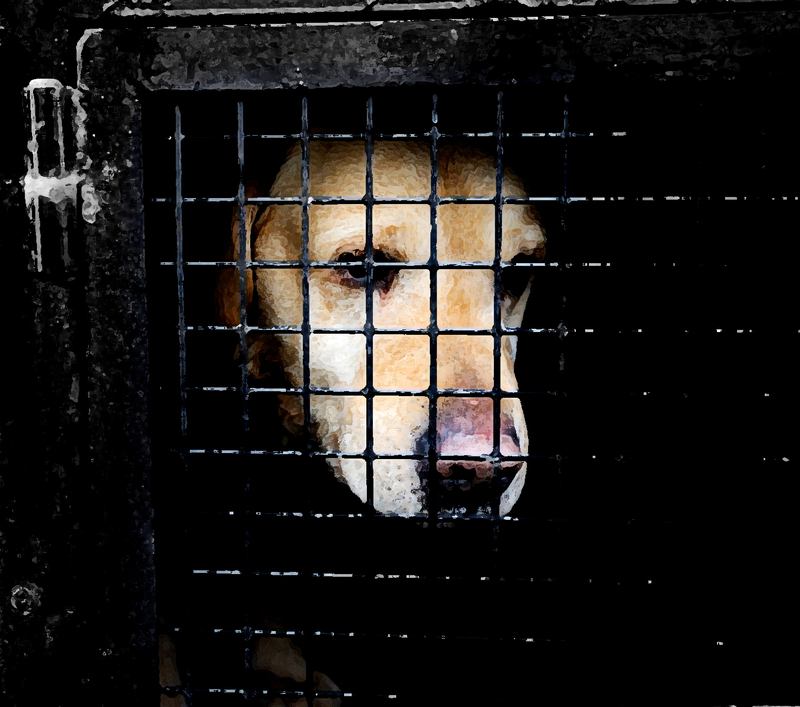 If we do not, the dogs are “disposed” of – often cruelly. I am angry that good people with kind hearts are put in the impossible situation of having to make such a horrible choice. I am angry that our weak laws, over-burdened law enforcement and under-funded courts make it possible for these operators to operate with impunity. I am angry that I cannot be even more specific for fear of jeopardizing the lives of dogs we can save. I am angry that intelligent people continue to create a market that supports this when there is a mountain of information available to put an end to it. I am angry that dogs give us unconditional love and trust, while we allow this situation to continue. This has to stop. If you must purchase a puppy instead of adopting, there are such obvious, simple, best practices to follow that would put an end to puppy mills. Like anything harmful to our earth and its inhabitants, if you want to stop a bad behavior – you have to stop the demand. We have the power to do that. Almost instantly. Please use it. Well said. I really despair of the human race when I think there are sick people in the world who use puppy mills to make a few bucks. But then I think of all the wonderful people who love and cherish their pets and beautiful people like yourself who work in rescue. Keep up the good work. Amen. No one says it better than someone with valuable experience in the field. Thank you, sir. Please educate another. Wow. A powerful and moving statement about an incredibly important issue. Thank you. I will share this everywhere I can. Thank you, my friend. I know you understand all too well. Please, please read and share this very important post from one of my blogging friends. Please, go read. And share. Please, my fellow animal lovers, read and share this important post by my blogging friend. Education and awareness about this issue is absolutely critical. Thank you again for the great grace you bring to your dogs and people; at an energetic level you are changing the world, and this post (which I’ll share on Facebook) also invites a changer in attitude, awareness and action. Gentle peace. Thank you for sharing Kitty. Let’s fix this. Thank you, good point. The tips work for anyone considering purchasing a pet. Please share them. Let’s fix this for all. Great post…it makes me so angry too! My neighbors bought a female Golden puppy last year from a backyard breeder (a “bargain” at $400, probably because she came with no vet care, no shots, and the breeder “couldn’t find” the parents’ AKC papers), and their intention was to also buy a male puppy and then breed them a few times to make some money. They know Oscar is a rescue, and they may have noticed the look on my face when they told me about their plan. Then just yesterday, they told me they got her spayed! Hallelujah! I feel like giving them a Thank You card. I asked why they changed their minds and they said raising a puppy was a lot more work than they realized, and they just can’t do it again. Whatever the reason, I’m glad they made this choice. It’s too bad more people don’t choose the responsible decision. Send them that thank you card. Include the tips. Help them to understand what they inadvertently contributed to, so they can help others ahead. Thank you. A blog that one of my sisters wrote…please read! The business of puppy mills (and kitten mills) just has to end. We agree 1000%! Thank you for putting this out there. I cannot agree more………This has to STOP!!!!! I agree. That is why I believe I rescue, but my money goes to groups that are working to change laws and public perception. Kudos. Thank you on both fronts. If they must purchase, please try to inspire them to purchase from reputable breeders. Share the tips. It will make a world of difference. Thank you. I absolutely couldn’t agree with you more. If there were no demand, the problem would sort itself out. I also agree that it puts everyone in the rescue environment into the most awful predicament. This is a world wide problem, it seems and there is so much information out there, encouraging people not to buy these puppies and yet it continues. So sad but good for you, getting the news out some more. Thank you, Mary. Spread the word. You are so on the right track. I’ve devoted the majority of my life to pet health and welfare, and I hope your readers take this message to heart, spread the word, and actively pursue corrective measures, politically as well as personally. Well done! Thank you…for the support and your work. P.S…your photographs are beautiful. In love with that cosmos and melting Jack. Looking forward to seeing more. Everyone – well said. So you can imagine how infuriated I was when listening to a Hollywood News Show on TV and heard that Bruce Jenner and one of the Kardashian girls were spotted in a Mall pet store buying a puppy and the news crew were playing it up as so cute and sweet. Most celebrities are doing a great job promoting rescue and adopting, spaying and neutering. But it only takes one un-carrying, un-educated, airhead, to start a run on that special breed of puppy that she (Kardashian) purchased. I’m so sorry for getting on my soap box but after seeing that and then reading your plea- it just set me off. If I had a blog I’d post this. I do make sure everyone knows about puppy mills, adoption/rescue, etc. God Bless you all for helping in this cause. Animals need our help so much. You tell them girl. So well said and so true. From a Mom and a dog that knows! Love ya and all your good work. We all tell them, Carol. Over and over and over again until they get it. I know you know 🙂 Thank you. Anger is good in this situation, it has the power to move anyone who cares to spread the word. We can all do our small part in ending this dreadful trade. We are horrified by the conditions puppies from these mills travel to their new owners and lobby all organisations to shut them down. It sometimes feels like shouting into the wind but the more people who know about the consequences of supporting these criminals. Your organization is in a particularly good position to inform a lot of people. I have to believe it is just ignorance; I couldn’t stand to believe that people Would continue supporting this once they understood. Thank you for spreading the word. Agreed 150%…me Mum criez so much over da bad n sad fingz dat happen to all 4 leggedz…me alwayz triez to find happy endin storiez fer her to read!!! We 4 leggedz wuud be gonerz wifout peeple like all of you bunderfull rescuerz…fankz fer never givin up on us who need you So MUCH!! Yow Ogee!!! Guud to hear frum you…. Hab you bin to me blog…ok me n Mum’z blog??? it iz called Nylablue & Sherri-Ellen’s Purrfect Pad…right here on WP!! Me waz a puppy mill breedin kitteh fer almost 5 yearz, den thrown out n went thru sum more bad stuff n den me Mum adopted me….almost 7 yearz now livin da guud life!! stop by anytime n bizit!! !